On December 2, I closed on a 7 unit apartment building. When I made the offer, I saw a lot of things, but the two most common were disaster and potential. Due to the size of the place, the insane income numbers, and the way that the first 6 days of ownership have gone, I figure i'd do a deal diary. I'm hoping to update this every 3 months or so. This was an on-market deal that I found, owned by a guy who had inherited it from his father in law. He was absolutely done, and did not want anything else to do with the property. 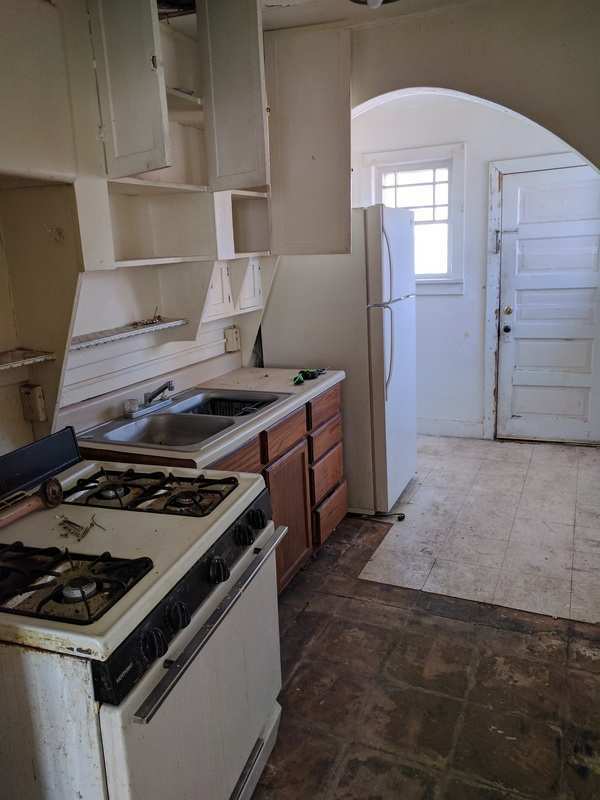 It is in rough shape, and comes with the types of tenants that will put up with the extremely poor condition that the property was in. However, the income numbers were good, the location was good, and it's got a huge upside. I decided to go for it. Time will tell if I'm a fool or a genius. I closed late in the afternoon friday, dec 2 and decided to pick up the serious work of finding a property manager and dealing with the utilities on Monday. Monday began with calls to the utilities, informing me that the seller was paying ALL utilities (they told me that I'd be paying water/sewer/trash and electric only for all units). In addition, the kind folks at the water department told me the building used 60,000 gallons of water last month, which was exceptionally high compared to its average use of 40,000 gallons. I grew up here in the Western US, and not only is that devouring my margins, there's not a lot of water here to waste and that's practically criminal. I dont know how many gallons per month an efficient 7 unit would use, but I can assure you I'll come close to finding out during this turn. After getting all the utilities in order, I started calling property managers. I called between 15 and 20, and many took a day or two to call me back (tossed, unresponsive) a few said they'd go drive by, and called back after and said they were not interested due to the condition. 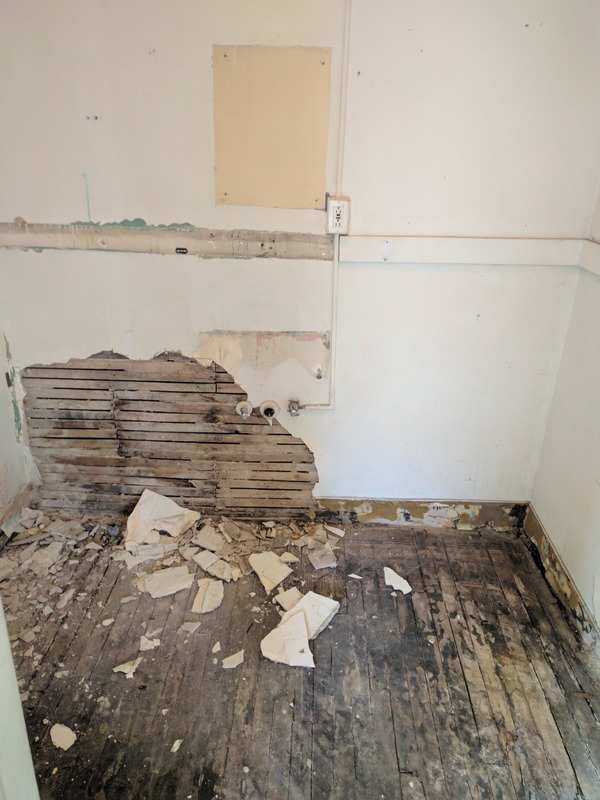 There was one willing to work on it, and this group has a broker with a background in house flipping. I set up a meeting for thursday morning for a walk through and tour of the 2 vacant units. I met the property mangement broker, assistant and both maintenance guys, and went to let them in the first vacant unit. I knocked (I dont know why) and someone said "one minute". The tenant I believe was pretty shocked to see me, as I was him. I was under the impression that the unit was vacant. We chatted with him a bit, and he produced a lease, as well as receipt for payment for rent in december (Which I was told was not collected). He also informed me that the stove in his units (as well as 5 others in the building) were not functioning. We thanked him for his time, and went into the crows nest (the studio apartment at the very top) and looked around. They agreed to provide a bid for me for the work, and we went downstairs to check the mechanicals. New leases for all tenants - month to month - (except the new one, who is on a 3 month lease), that has the tenants paying the Gas portion of the utility bill for their unit. Lights: LEDs are about the only think I can directly impact here. They were on board with the plan, and were happy to help and excited for the project. I went over and signed the agreement (3 years, 10% PM fee) at around 1130, dropped my daughter off at school and went to work. I get a call from the seller - apparently he's got the rent check from the new tenant, and he'll drop it by tomorrow, but none of the other rents have been collected. The person who was living in the crows nest (seriously, so gross) who they had to have civilly committed to get out was living in one of the other units with some guy, and I should under no circumstances let her move back into the crows nest, and she will ask. I was also informed that unit 7 was now empty (this is currently pending verification) . I thank him for the time, and start working again. A few minutes later, the gas company calls. Someone is in the mechanical room in the basement, says there's a gas leak and I need to get over there right away. I ask if he's serious as I was in there less than 3 hours prior and didnt notice anything. He says he is. I call up the property manager, tell them the situation and they send someone over to get the keys to the building and head over. I dont hear from them for a while, then an hour or so later I get a call saying I got red-tagged by the city. The property manager has an HVAC Guy already on site, and they are dealing with some sort of backdraft issue that is filling the area with carbon monoxide, and there's a gas leak somewhere. Still unsure as to how it happened and who told the utility, but that is an issue for another day. So, an interesting first 6 days of ownership on the 7 unit building. I did get some good news from the property manager that my estimated rents after the units were turned were low by a fair bit, which is awesome. Stay tuned for update 2.
sounds a bit scary, but i am truly happy for you. Let me know if you need some help, or some contacts. Good luck man. I am in timnath colorado but work in cheyenne. We should have a beer sometime soon. Keep it up! @Jeff Fruhwirth , even with all these issues, I am supremely jealous about this deal. Can't wait to see the property the next time I'm up your way. @Jeff Fruhwirth I applaud your audacity and openness with this deal. I'm following along as I can't wait to see you succeed with this deal. Awesome Jeff! You are braver than me, but I think you are on a great path! Looking forward to seeing your updates! Looking forward to the updates! I'm planning on a quick turn, then a cash out refi. Sounds like an interesting first few days with the building. I look forward to reading some more updates on this building. I wasnt really planning on updating this frequently, but there's been a ton more that has happened. The property manager was very responsive with the gas leak, and the issue was fixed before I went by the property on my way home from the office that day. This was fantastic news, because it was in the middle of a 4 or so day stretch where the temp did not get above 0 degrees. The issue was relatively minor, but did cost about $500. Not long after that, one of the tenants calls, says that they need a new stove and oh (surprise!) there's one unit out of 7 that even has a working stove. 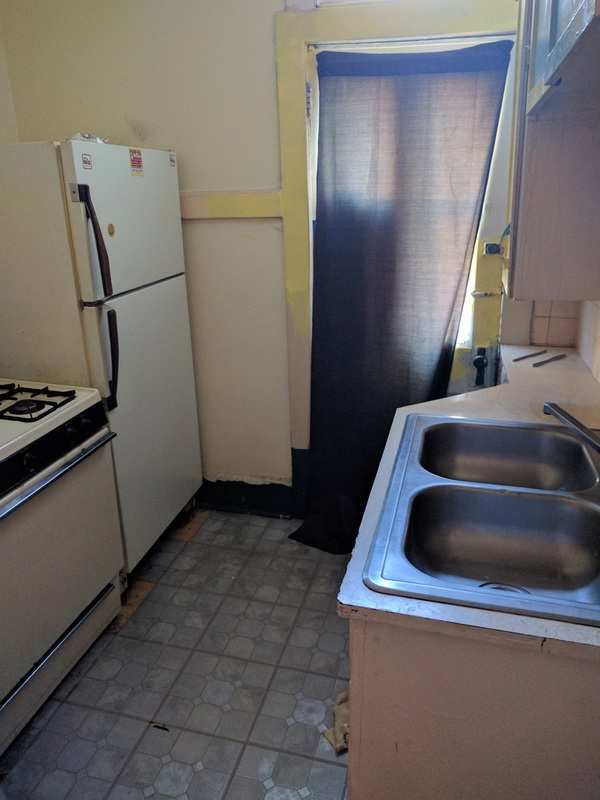 The tenant submits a work order and I go to purchase a stove - they dont have the one I need (of course) and it will take a few weeks to get in to the store for me to pick up. I let them know this, and then move along. I return to pick it up and find out that the truck was delayed, and when dealing with the PM and tenant, I begin to realize that these tenants (and this property) have a huge case of what im calling "neglected tenant syndrome". There requests for repairs were constantly ignored, so when I had even the smallest of issues, they figured it was more of the same. A few weeks later, we learn that at least one of the units has bedbugs, but likely more. One of those is empty but the other one has 2 adults and their daughter in there. 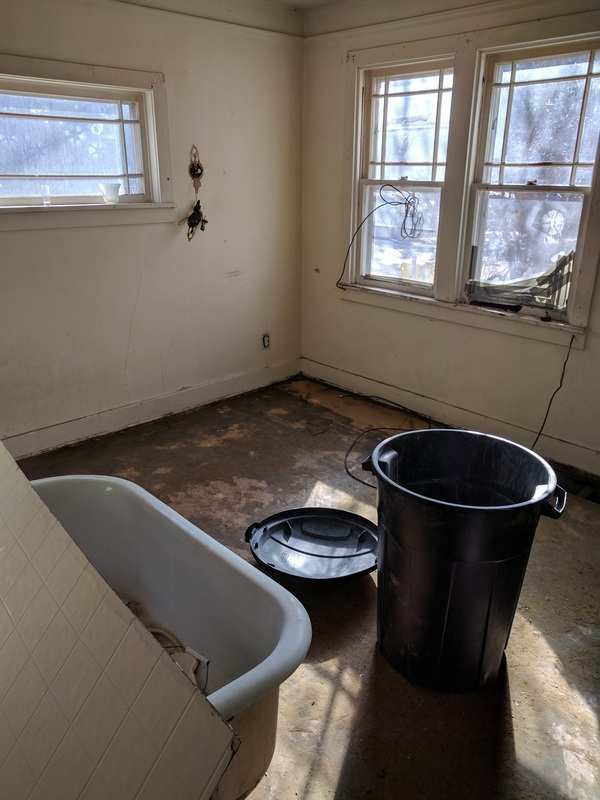 One of the tenants was sleeping on the floor, and another in the bathtub because it has gotten so bad. Apparently, they didnt mention anything to the property manager - or me - because they didnt think I'd do anything about it so they just dealt with it on their own. This is likely going to be a pain, but we're getting it taken care of. 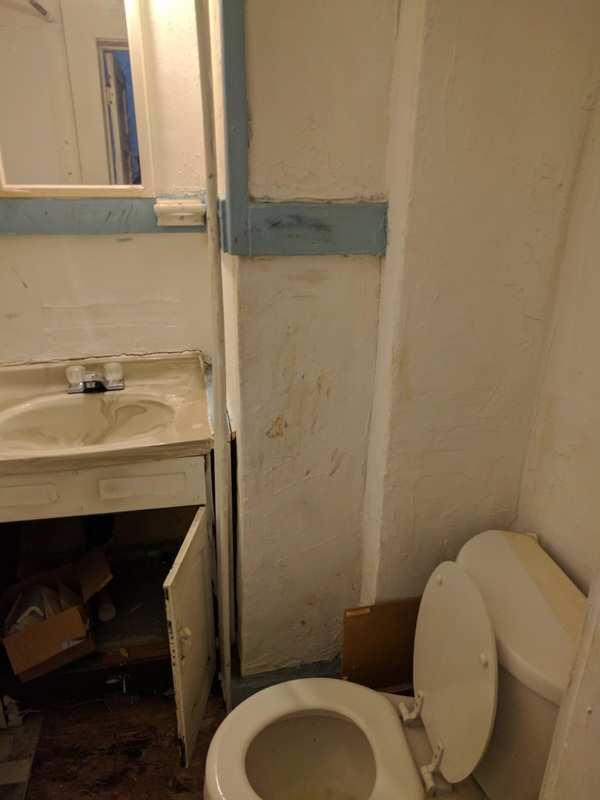 I also have found out that the property is a bit different than I remember or that the previous owner let me know about - the one unit that was 2 bedrooms, apparently is 3, but one room has mold damage so the tenants do not use it. I was also told this tenant paid 640 per month in rent, but the tenant has been paying 400 per month. As you can tell - we (the property manager and I) are still in the "learning" phase of this in terms what exactly is going on at this property. The property manager asked how to respond here, and I asked them to just leave it where it is - they were unable to pay $400 on time, there's no way they'll be able to come up with 640. The property manager also found out something interesting when inspecting the property after getting the tenants on new leases. There was a shed on the property, which had an extension cord running to it that was power 2 space heaters. One of the tenants apparently has been feeding many cats - essentially barn cats - in this shed. The property manager dealt with the issue and locked the shed. A few weeks later, the tenant who was responsible for this wrote a very angry note to the property manager about how he was locked out of "his" shed, and decided to cut a hole in the door so the cats could get back in so he could continue feeding them. Not only was I Never notified of this agreement with the shed, I also was not even 100% sure the shed was on this property - the bank seemed to say one thing, the assessor the other, and I never got a confirmation from the owner. The PM is arranging with the tenant to remove his belongings from the shed at some future point, and hopefully that headache will be over soon. In terms of other financials, All of the tenants were on month to month leases with the old owner, save one that will end on feb 28. The old leases said the owner was responsible for ALL utilities for each units. I knew this going in, but was told that the gas was separately metered and they were going to move the tenants to paying their own gas bill. The property manager was doing this as they got everyone on a new lease, and I'm glad they did. I was responsible for the electric and gas bill (water has not shown up yet - and i'm dreading getting it) and it was $925, 600+ of that was gas charges, which will be paid by the tenants from january 1 on. That basically annihilated any profit I had dreamed of for the month of january. On top of all this, I got a call from the city code enforcement office about a week ago. They were looking to find the old owner and had found out that the property had sold. 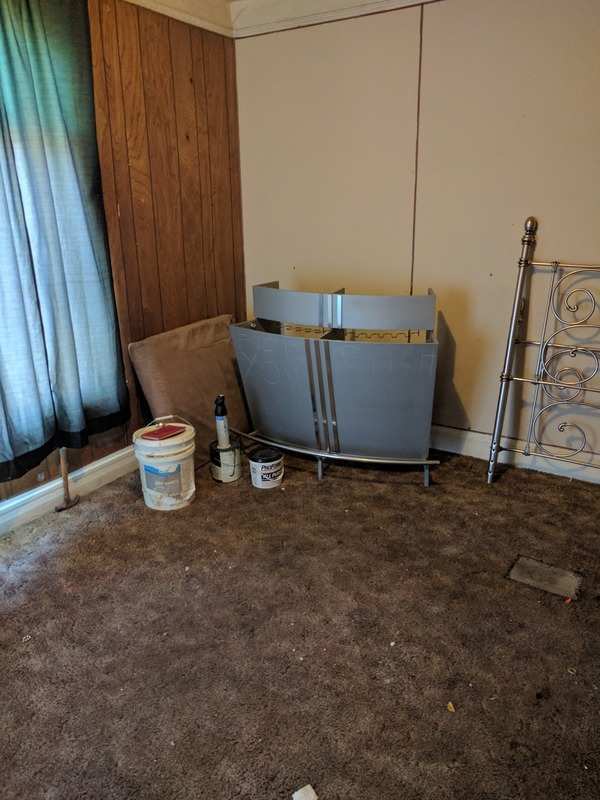 There was too much junk on the property (including an abandoned car) and I needed to clean it up, and could I get it done in 2 weeks? "Sure, I said". As if I had another option. 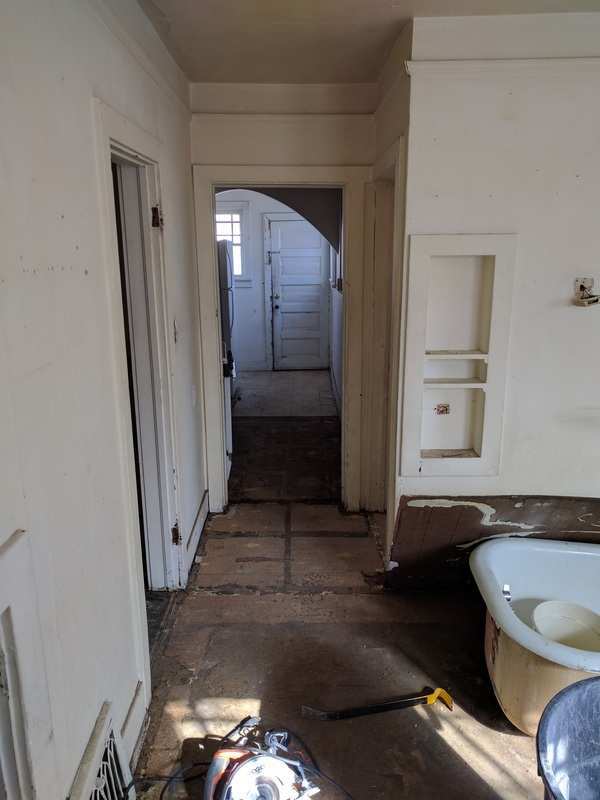 A rollaway was ordered, and the property will be cleaned up, and both of my vacant units will be emptied of all the refuse that was left in them prior to being turned. My Initial plan for this was a slow turn, but the way this unit is cash flowing (currently in the negative, and would likely still not be great without the new stove and the bill from the gas leak issue mentioned in the last post) I opted to get a HELOC for the property and will use that to turn the units as quickly as possible. I'm shooting for the end of 2017. Thankfully, I purchased this well and with what I put down, I was at a 50% LTV ratio so there's a lot of equity in there. This has been nothing but one "oh, wow, how am I going to deal with this" after another, but it has been a learning experience and rather interesting. Once this thing is completely turned I believe I estimated a bit conservatively early on, so there's a TON of room for a BRRRR here. I'm looking forward to getting it done. @Jeff Fruhwirth love the update man! The frustration resonates through the post, but I still sense the determination to not let this place beat you. You got this! I'm really impressed with your ability to face the challenges as they come. You'll be rewarded not only by the financial upside but in the shear amount of education/knowledge you're gaining from this deal. Keep the faith brother and keep the updates coming. It's been great tracking your progress so far! Time for another update on this place. One thing that I didnt mention last time was that I had not received any rent for december for one of the tenants, and I believe I didnt mention that because I wrote that the week the property manager had told me that they had secured help of a local agency to pay their rent, and as long as they could pay X amount ( I believe it was around 100) and the community agency would pay the rest. I was told that this was a sure thing, as long as the tenants came up with their small portion. I let it go and moved on. They didnt take the wednesday offer (which saved me $200) but were out by friday. Now I have 3 empty units - Which im viewing as a blessing because they will be easier to get turned around than ones that are full. I've had a busy last two weeks, and I'm going to be working on the studio first and hope to have that ready to rent by april 1. Measurements are getting done this week, and I'll start purchasing supplies once that happens. The Property manager has also filled up 2 rollaways with trash that was left in the empty units. Thankfully they took care of all the labor on this as well, as some of it would have been tricky and I just didnt have time. The tenant in the 3 bedroom unit had an inspection recently, and the property manager stopped counting at 6 cats. I have no idea what it is about these tenants, but they sure do love their cats. They were told that by the end of the week they needed to be down to 2 cats. This passed just this last friday, so I'm not sure of the situation yet. 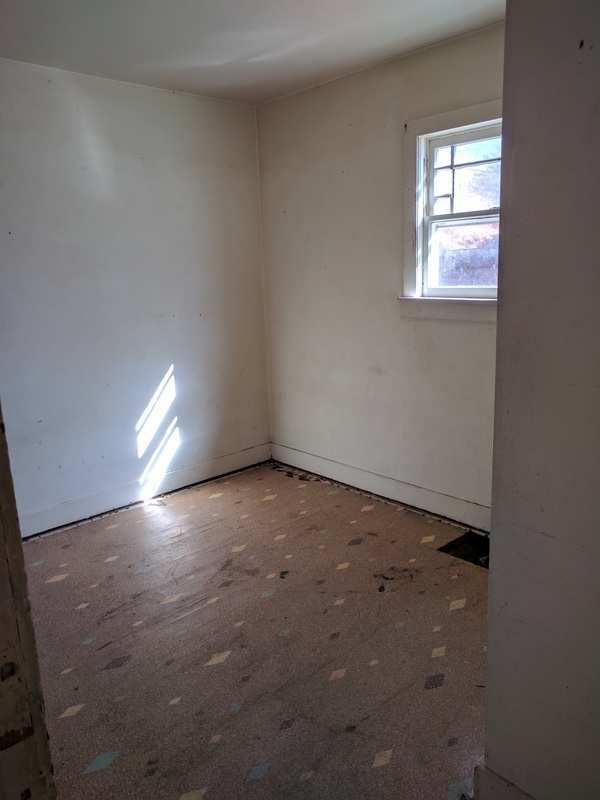 As for the bills & the rehab, I've got some electricians coming to bid to convert it to single meters so that each tenant will be paying their own electric bill this week, and will get measurements for the empty units so that I can start getting stuff for the rehab purchased. New kitchen - this is only known for the studio, but likely will update the others as well. Due to age of the structure and the suspected level-ness of the floor, I'll likely be going the ikea route. New Sinks/Toilet - Landlord (for now) will be paying the water bill, so I'll be going with high efficiency ones. New Light Fixtures - Will make everything much fresher. That's all for now - aside from a profit update: I'm down about 3k so far since Purchase. Keep up the good fight! I'm looking at a 8 unit with near identical #s and I suspect near identical problems, so I am living vicariously through you right now. The frustration is really heavy, but when you get the place turned the cashflow will be awesome! Keep at it! This is an amazing read. Can't wait for the next update! @Jeff Fruhwirth , I am really enjoying this thread. Keep us posted. Let me know if I can be of any help. That probably sounds better than it is since I have a full time day job and about 30 rental units. For what it is worth WY has one of the best eviction laws. I think I average about 10 days from filing to court date and Writ of Restitution. Total costs average about $600 to $800 per eviction including costs. I could not help you in Cheyenne, but it may give you an idea of costs. Legal costs may vary a lot there, so shop around if you get high quotes. If the other side gets an attorney costs could also go up and things could get delayed. Wow @Jeff Fruhwirth , not sure how I missed this diary but I'm following it now! Is this the one downtown that you were telling us about last year at the meeting at Cheryl's place? Anyway, congratulations, that was an awesome deal!! @Jerry W. - The tenants did get removed. They were served on a monday and were gone by friday at 5 pm. I did not have to give them cash for keys. I appreciate the offer for help. Let me know when you're around next and I'll buy you a coffee. @Michelle Y. - Yes, I do believe that this is the place that I talked about in the meeting at the house on the south side last fall. I closed in december and I think we (Me & the property manager) finally know exactly what's going on. This will be a good property once the units are turned. I'm pretty excited for the process to finish. I was planning on hosting the next meet up, but I think I'll wait until one of these units are turned. Deal. I usually come to town for testimony at the legislative session, but missed it this year due to too many jury trials. A few photos of the other vacant unit, mid demo. Bathroom will be mostly redone, and i'm thinking fixtures, paint & flooring for the rest. The bottom kitchen cabinets will be replaced, as will the stove (I have heard it does not work). I will keep the uppers. There are also a few broken windows to replace as well. @Jeff Fruhwirth , I am excited to see it at one of the future meet ups and excited for you! 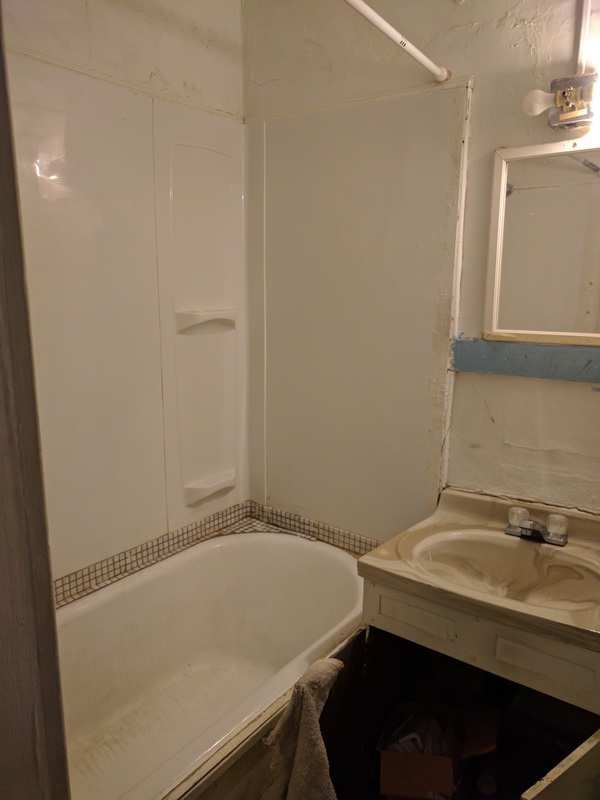 I think it will be a great property too once you're done. @Jerry W. , I missed you this year, figured you did not come down for the legislature since I didn't hear from you. Hope to see you sometime later this year! Maybe when Jeff hosts a meet up at his new MF? Can't believe I missed the updates. Incredible story @Jeff Fruhwirth ! Thanks for sharing. Sounds like a ton of work, but an exciting learning adventure.